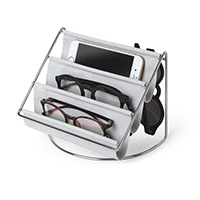 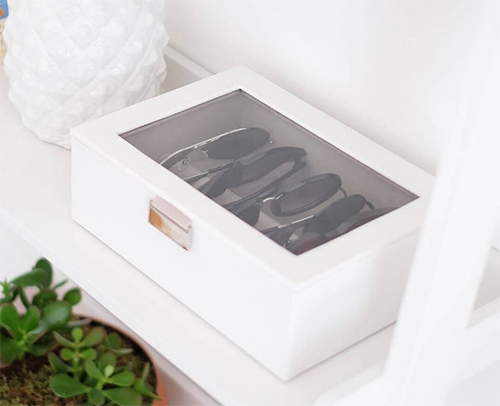 Designed here in the UK, we really love this stylish and practical vegan leather sunglasses storage box. 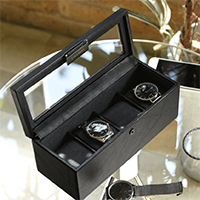 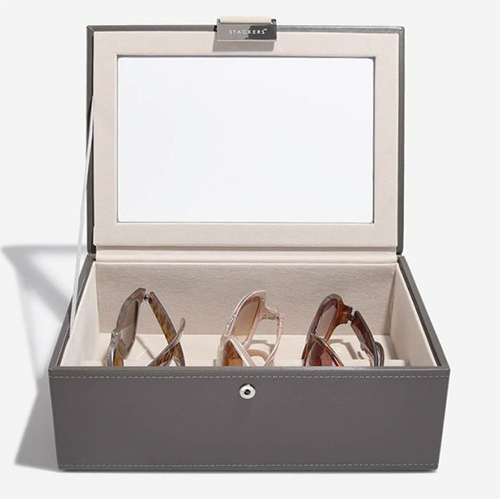 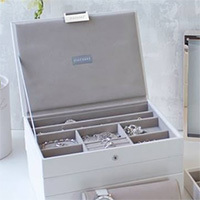 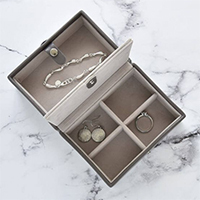 The box offers a place to safely store away up to 4 pairs of glasses and the glass lid and velvet lining will keep your collection dust and scratch free. 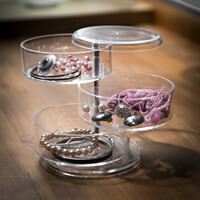 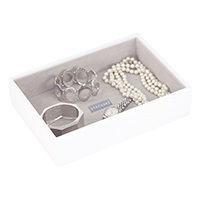 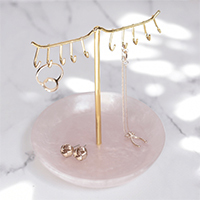 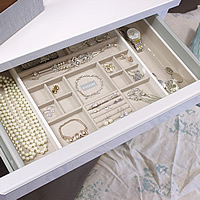 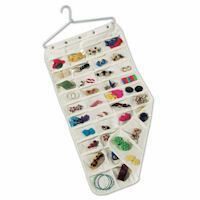 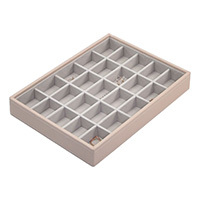 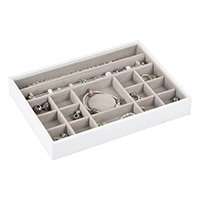 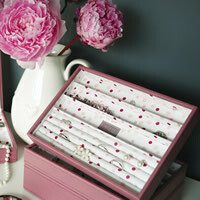 Use either alone or mix with our Stackers products for a complete jewellery and accessories storage solution.